If you’re looking for a 1st class professional service to draft your blueprints in the Sacramento area or anywhere in the world, we can assist you with all your design and drafting needs! We offer complete CAD drafting services performed by our professionally trained experienced and knowledgeable drafts-persons. The key differences between us and many other design services is that we currently build outdoor living environments and have been for three generations! Swimming Pool, Water Features, Landscapes, Concrete Flat-work, Structural Masonry , Irrigation Systems, Drainage Networks, Low Voltage Landscape Lighting and other hard-scape and soft-scape considerations. We are very familiar with how the responsibility in producing good plans will reflect the returning responses for the interpreted requirements from those you deem worthy of contending for the work. A good plan of action isn’t just a pretty picture. A good plan should provide a clear view for how things are intended to be constructed with as little interpretation as possible. Good plans are plans that represent a build-able direction. Equally important are the layers of infrastructures beneath! The problem with many designers have, is that they very often enjoy drawing but, have not spent enough time experiencing the ramifications of the shortsightedness of their exhibits. The responsibility of exhibiting the clearest picture for what is being proposed can involve the accompaniments of construction details and specifications. These attachments provide a clearer picture for all the requirements so, when your estimates return an apple for apples comparison can be made. With the escalating costs for construction over the past decade we have seen some perspective pool purchasers venture into a world of building their own! 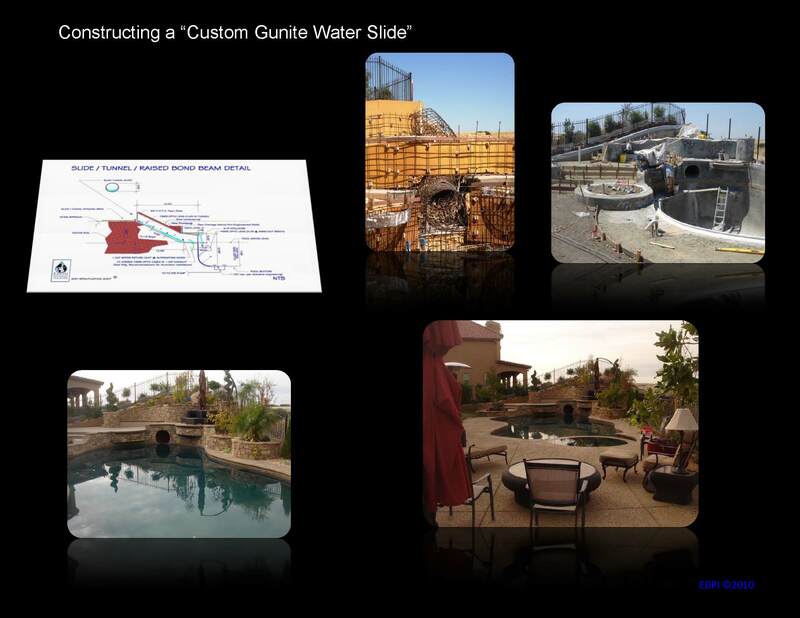 This is refereed to as an Owner / Builder pool approach to construction. It is important to start with plans that clearly articulate the deeper intricacies of meaning. Simply drawing shapes and providing splashes of color hues and tones doesn’t communicate the full breath of planned intentions and if it doesn’t get shown on a clear plan it often fails to be realized or is expressed to the limits of a constructor’s budgetary shortfalls. Ultimately,… if you are an Owner / Builder you will be soliciting some selected contenders to perform many tasks at hand. In order to acquire useful information from the respondents…you should prepare your solicitations and request for pricing, in an outlined form or common framework style. Simply asking for a price, won’t allow you to decipher one bid’s inclusions from another exclusions. So… the video clip below can help you to qualify contenders as a worthy performer and organized your request for proposals into a common framework where truer comparisons can be assessed.